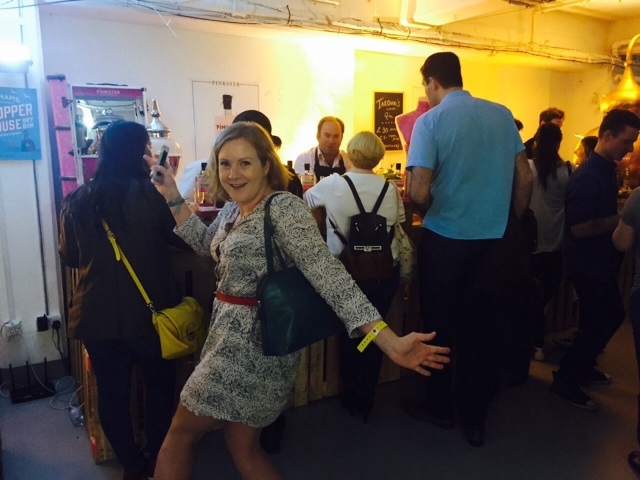 Junipalooza 2015! - What's Katie Doing? 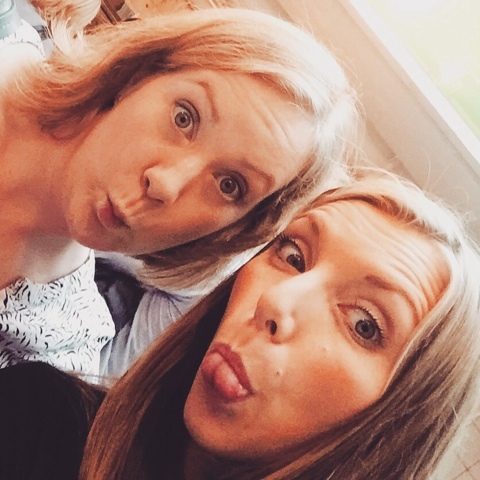 I was excited to go try out a load of new gins – each distiller had more than one gin, so Laura and I had our work cut out trying them all – but we took one for the team (you!) and managed it! First up we tried the Nginious gin – the regular gin is stocked at the Oliver Conquest but I hadn’t tried their Summer Gin or the aged gin. 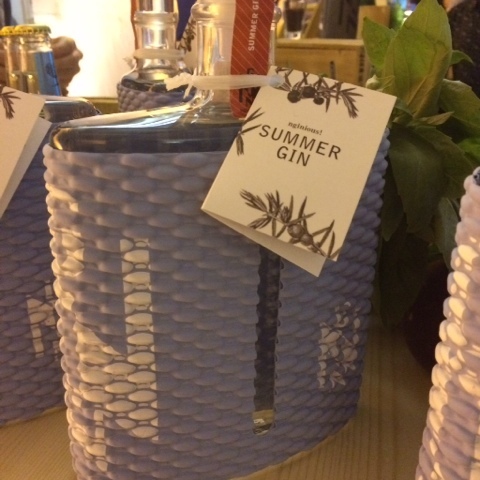 Summer gin – the bottles were wrapped in swim cap material! I liked the summer gin freshness and the summer fruit of peaches worked well with the herbs added. 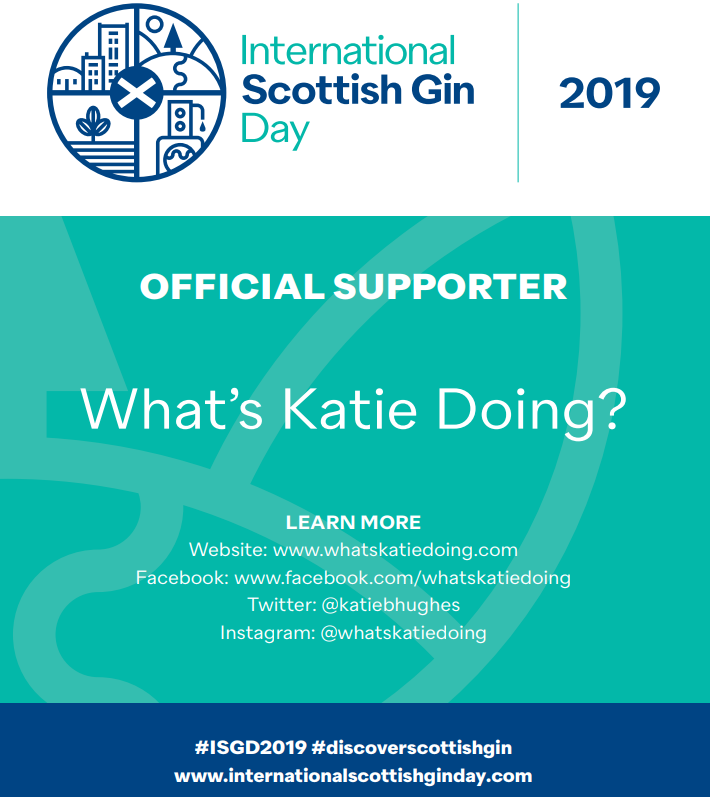 Laura unsurprisingly liked the aged gin – they are great for those who love the flavour of whiskey as the ageing process is similar (gin generally isn’t aged for as long as whiskey). 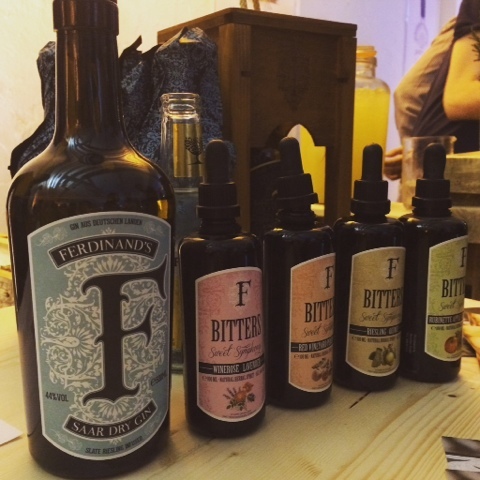 Ferdinand’s Saar was next – we’ve tried both the Quince gin and the Dry gin at the Oliver Conquest gin tastings. 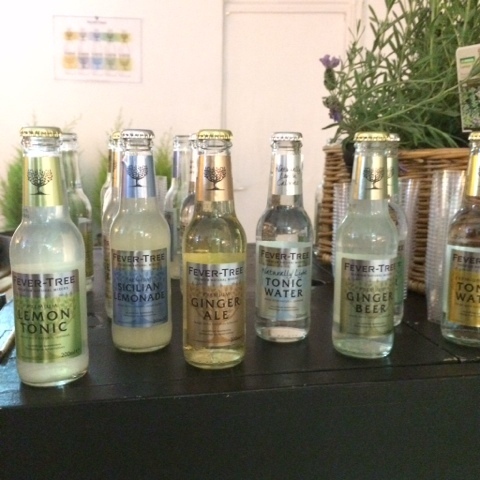 The whole range – the Bitters look interesting! 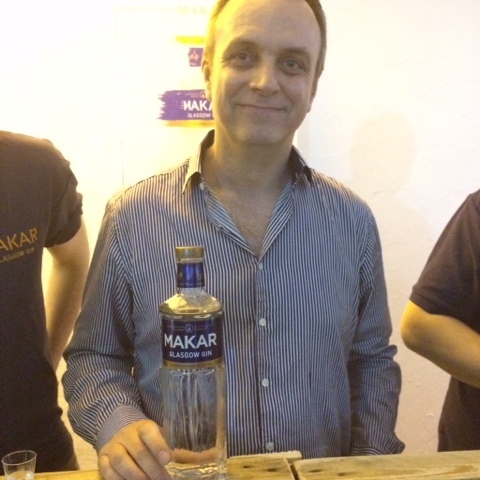 Makar is the first gin made in Glasgow and they are proud of this fact! Makar was unusually served with green peppers (capsicum) as the garnish. 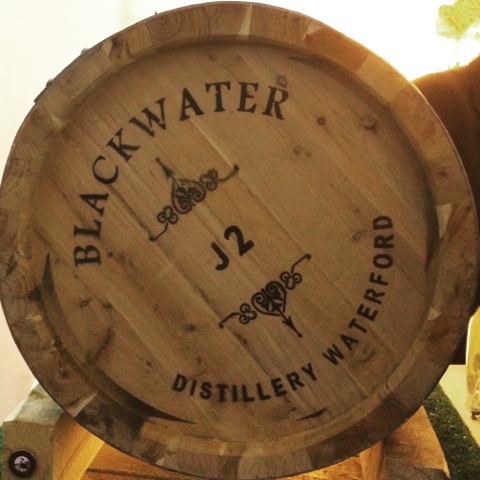 Blackwater from County Waterford Ireland, isn’t even distributed in the rest of the UK yet. 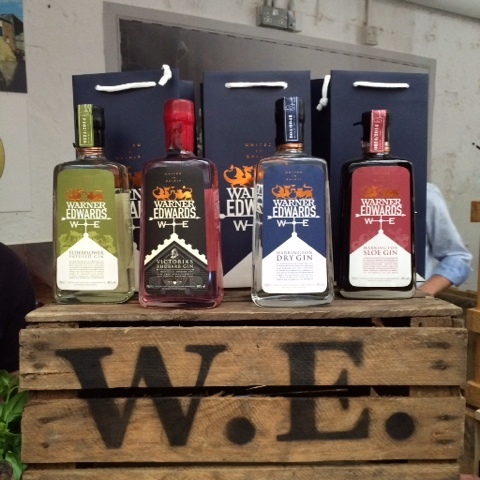 They had a double treat for us – along with their regular dry gin they made this special juniper wood barrel to produce something special for Junipalooza – extra junipery aged gin! Try this bad boy neat! 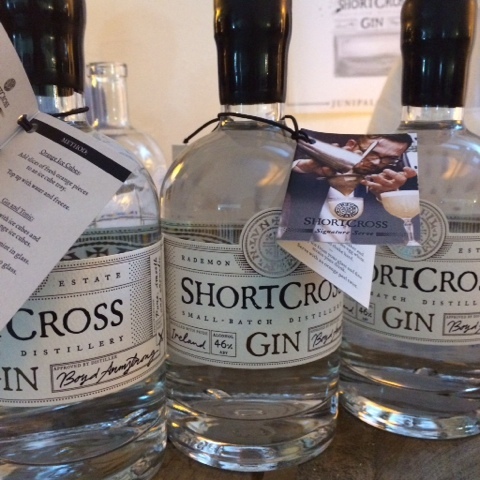 Ireland was strongly represented with ShortCross also present with their regional botanticals of wild clover, elderflowers and elderberries and home grown green apples. Suggested serve is one of my favourites this summer – pink grapefruit! 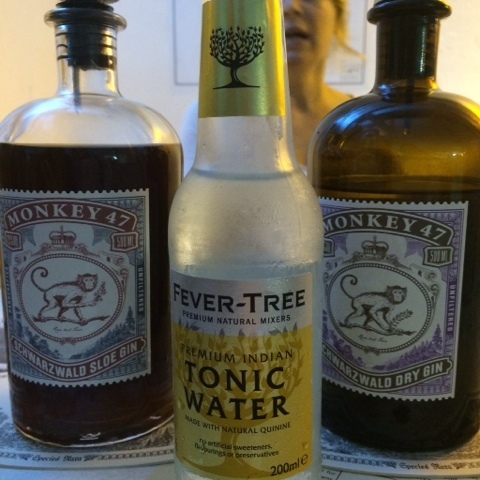 Monkey 47 is not new to me, but I made sure Laura tried the German gin with 47 different botanicals and a citrus herbal flavour. 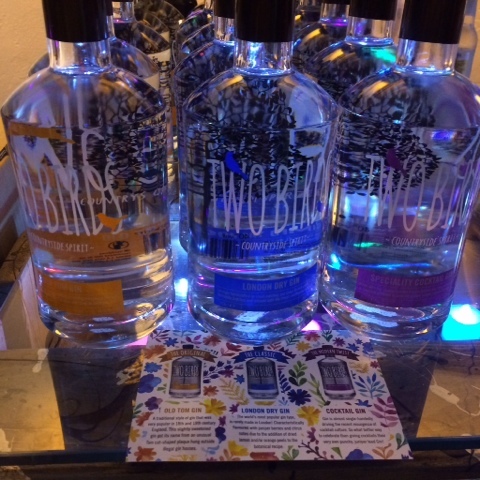 Two Birds gin had quite the display on! 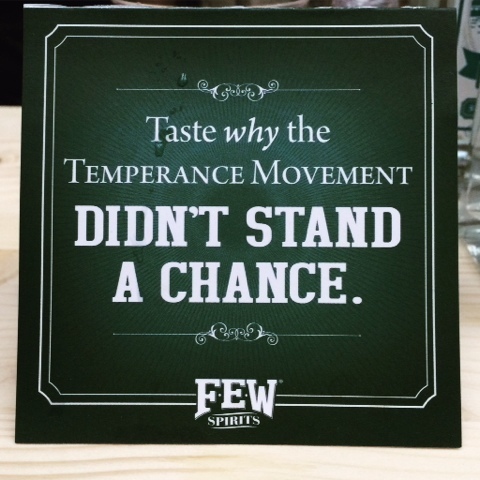 We tasted their London dry style and then were quite taken by the sweeter Old Tom and the punchier Cocktail strength (specially blended to stand up to multiple ingredients). We now have the 3 set of the mini bottles at home to try out with cocktails! 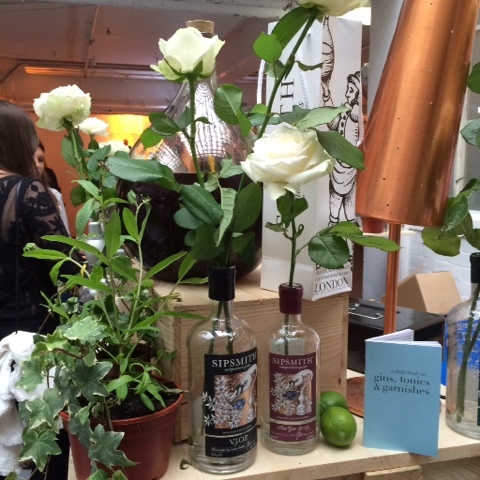 So just a quick word on the tonic – we tasted most of the gins neat and then in their perfect serve with the appropriate tonic and garnish – however Junipalooza showcased FeverTree tonics and mixers so thes were the ones used. 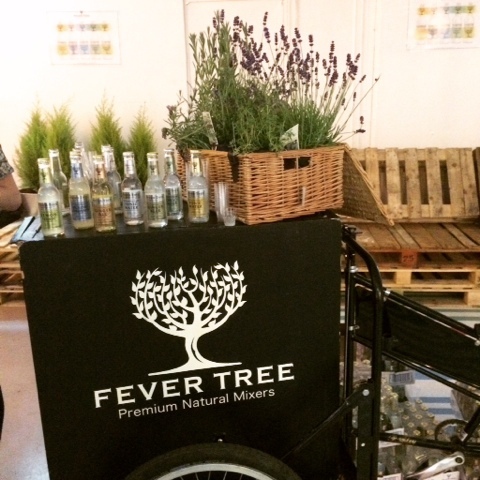 Whilst other tonics are available I do like FeverTree in my G&T! 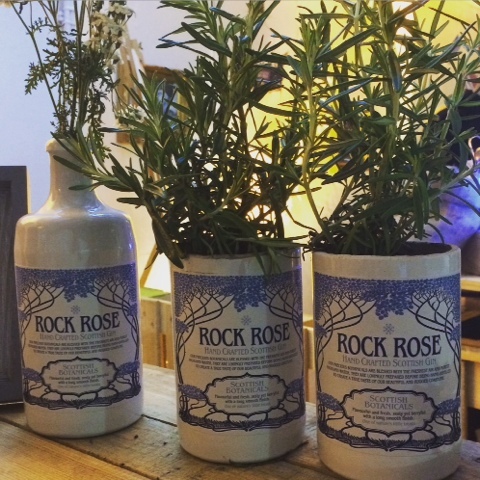 Another gin representing for Scotland was Rock Rose. This is named after the plant that is part of their regional botanticals – they also use Sea Buckhorn and Rowan berries. 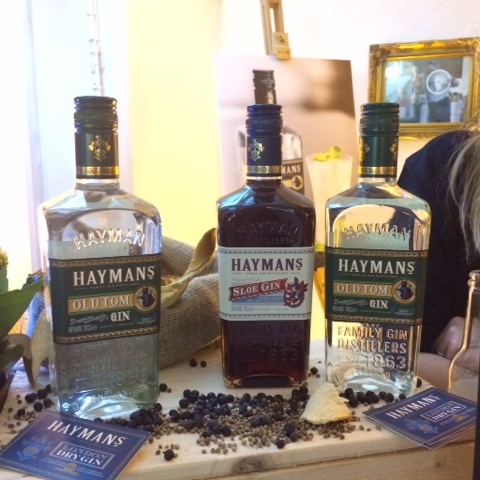 Hayman’s is a classic English gin and they brought the whole range for us to try. The Old Tom, classic London Dry and the Sloe. 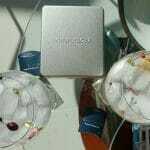 Pinkster is one that is close to my heart. 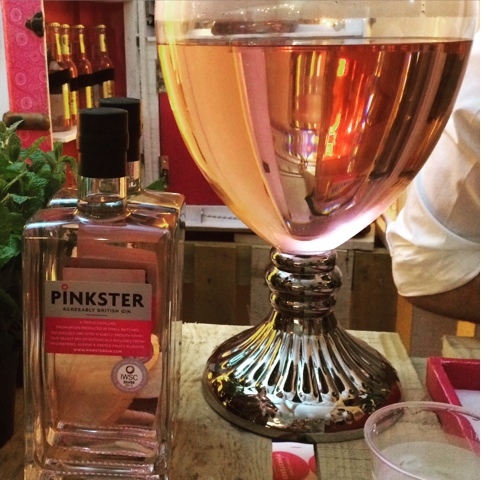 The gin is actually pink – it’s not just the bottle! I first tasted it at the Taste festival and got a bottle for my mum as she was sooo disappointed that Bombay Sapphire wasn’t actually blue, that I thought she’d appreciate the real pink! 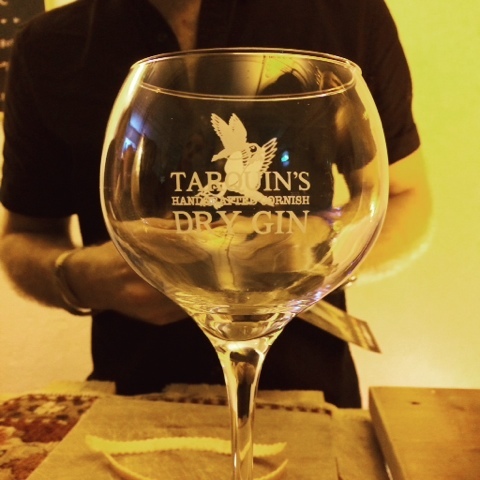 Tarquin’s gin was next door and showing off their marvellous gin coupes – the Spanish style of serving G&T in hot countries…. As this stage we needed a short break – so some food and a lot of water to try and sober us up before the second session! Refreshed and ready to go again, bring on the neat gin!! 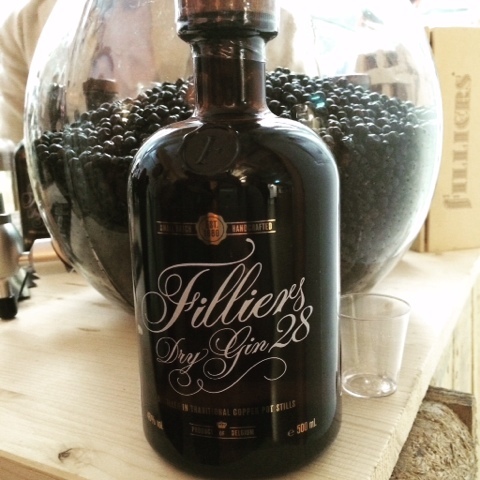 Filliers was our next gin. I really liked the tangerine gin, the pine blossom, not so much. I think blends in with the juniper flavours rather than standing out. 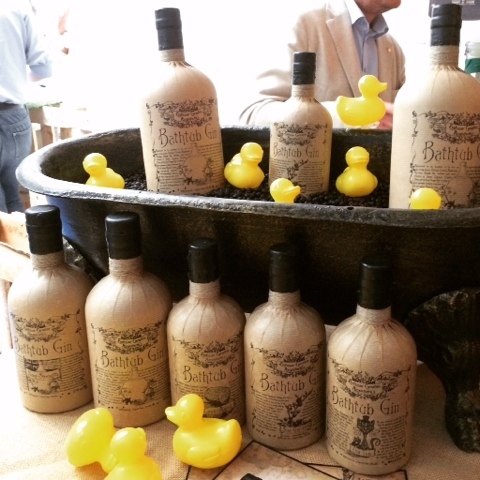 A welcome display from Bathtub gin! Yes we took home a Duckie! They brought their whole range, the bathtub and the rubber duckies! 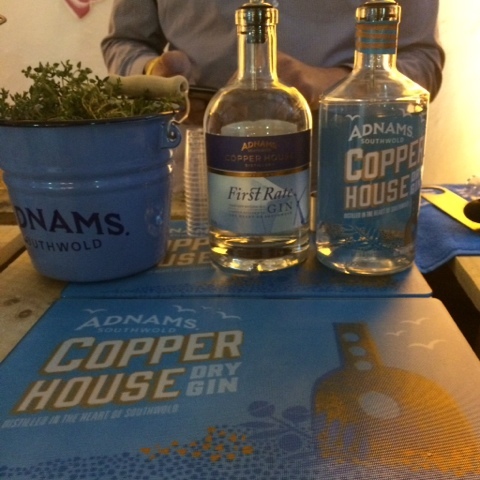 They make their gin in the time honoured way of macerating the botanicals in the gin – this was done in bathtubs during the American prohibition – hence the name! The Oliver Conquest stocks the whole range! 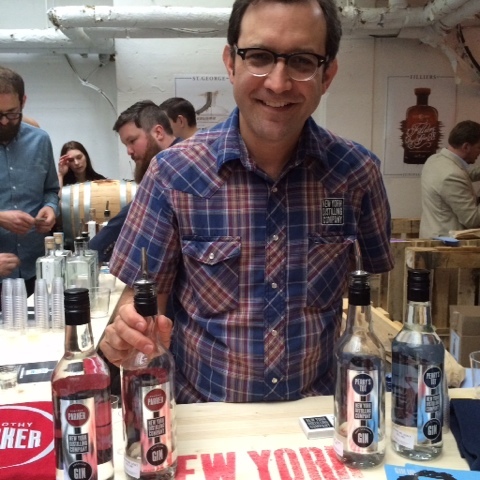 New York Distilling Company brought their Dorothy Parker gin and their Perry’s Tot. Naturally Laura and I preferred different ones! Perfect serve for Dorothy Parker is with Rhubarb! 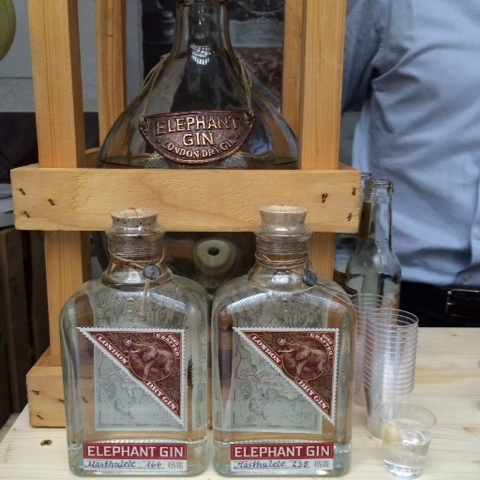 Elephant gin had a great stand – we learnt that each batch is named after a different African elephants that the company supports. Naturally the botanicals are inspired by Africa and include African a Wormwood, Lion’s Tail and Devil’s Claw! 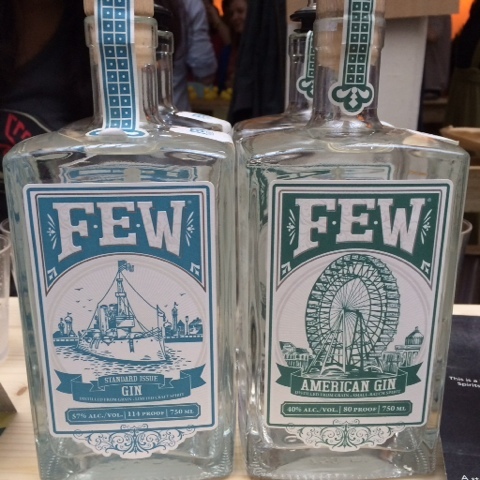 FEW American gin has a good slogan! 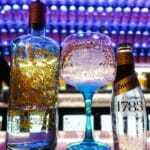 They have a traditional gin and their American gin – which has malty tones. 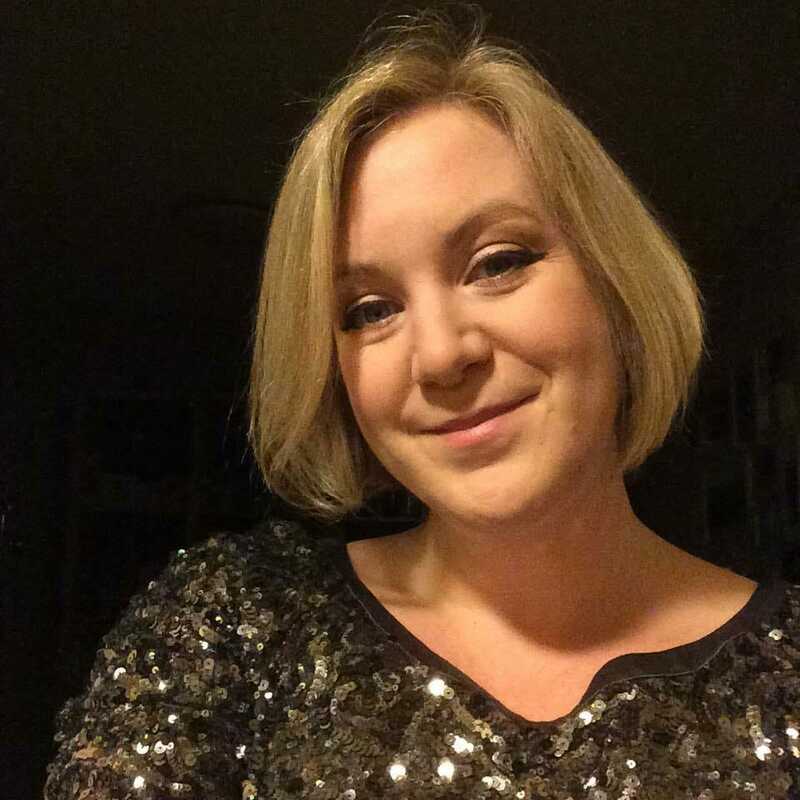 I didn’t like this one, but Laura did! 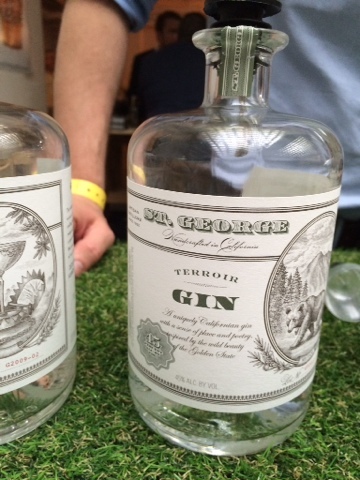 This one was one of my favourite discoveries of Junipalooza! It has an aromatic bouquet, with foresty notes from Douglas fir and sage, which really come through in the taste, lovely! 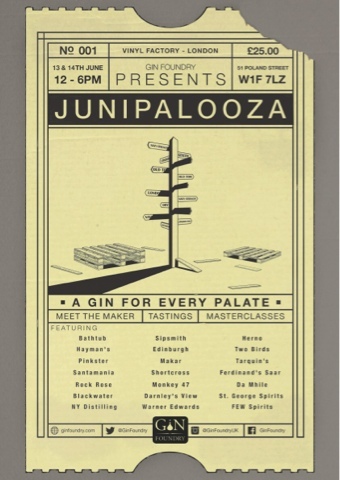 I think Santamania is the newest gin at Junipalooza – only just launched in the UK here! 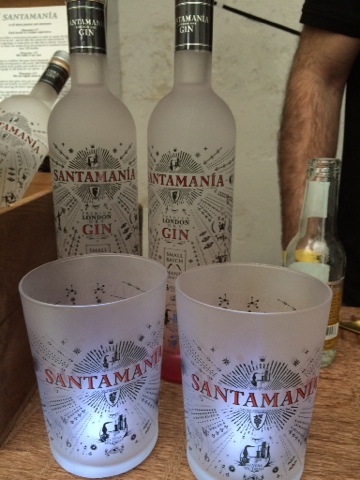 Santamania is Spanish and has a grape base, breaking the boundaries of the traditional! It has fruity notes of raspberry – hence the perfect serve with them. We tried their Dry Gin and the liquer strength flavoured ones, Elderflower, Rhubarb (seasonal and limited amounts made!) and I tried the sloe too! Da Mhìle was next door with an amazing stand full of seaweed and related decorations! 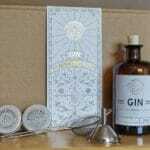 Da Mhìle brought their Dry Gin – organic naturally! 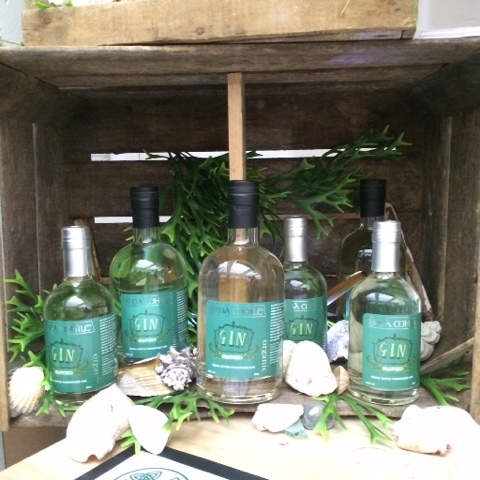 As well as their sea weed gin – very different! 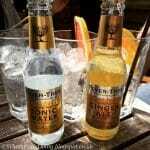 I really like their spiced gin – it’s great for gin beginners and stands up to ginger ale if you don’t like tonic. 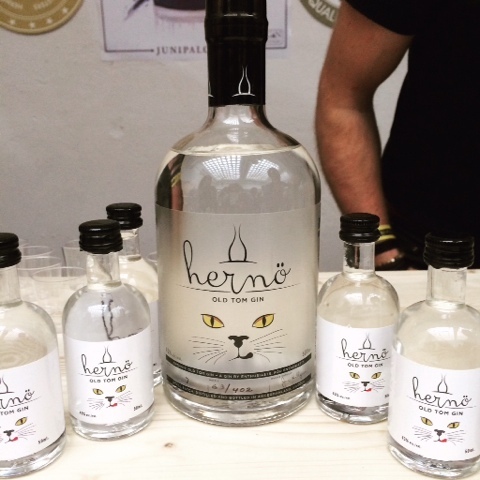 Hernö has had a great bottle redesign! Love the eyes peaking out of the Old Tom bottle! 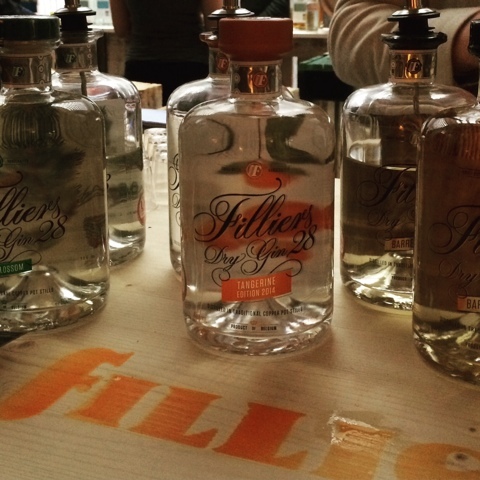 They had a whole selection of gin to taste – but as we were flagging we limited ourselves! Our final stand of the day was Sipsmiths! 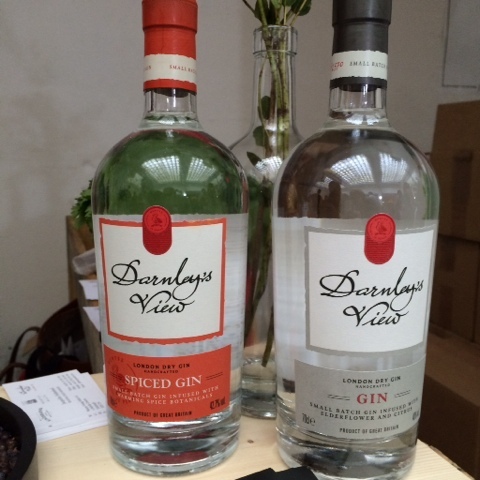 Here the lovely lady took through their gins – including the Very Junipery Over Proof (VJOP) and their Summer Cup – an alternative to Pimms, but better, especially if you pimp it with extra gin for a proper cocktail! Trying to taste all the gins in the room was a mission but we suceeded! Maybe not the best warm up for the Bootleg Club… but a lot of fun all the same! Meet you there next year? !